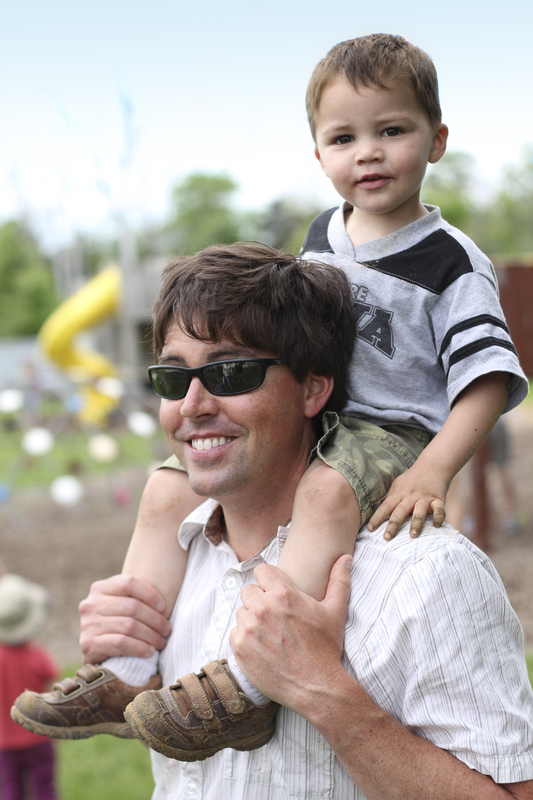 Parent-Child Class is a once-per-week class for children ages 18 months to 3.5 years. It is a great way for parents/grandparents/caregivers and children to begin their Waldorf Early Childhood journey together. It provides a bridge for young children as they prepare for preschool. It also provides a resource for parents who would like to incorporate Waldorf concepts into their home life. Classes are from 8:45-10:45 a.m. and meet once per week. We currently offer a choice of Mondays or Fridays. Session lengths vary. See the schedule and registration forms below for details. You are welcome to visit our school as part of your decision-making process. What happens in Parent-Child Class? 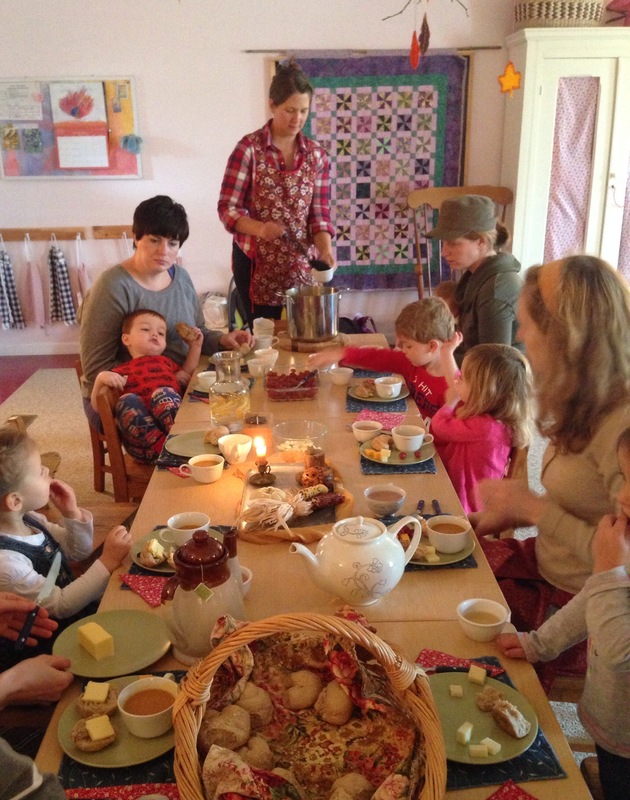 Hot soup and bread for snack in the parent child class. Parents and children come together in a nurturing, home-like setting for a shortened experience that echoes the rhythms and atmosphere of our Early Childhood classrooms. Parents accompany their children in circle time, story time, preparing and sharing a healthy snack, creating simple crafts, singing, playing games and enjoying outdoor time and healthy physical movement. The teacher also leads discussion among the adults while the children are encouraged to explore and engage in imaginative play. These classes offer a place to discuss parenting issues, establish community and a local support structure, learn ways to establish rituals for a healthy rhythm at home, and learn more about Waldorf education with an experienced classroom teacher before enrolling in our Early Childhood Program. New March 2019: Online Registration! Register Now for our Monday session. Register Now for our Friday mini-session (beginning 4/5). If you would prefer, you may print and complete a paper Parent-Child registration form and either drop it by the office or mail it to us, along with payment. We recommend calling first to verify that space is available.